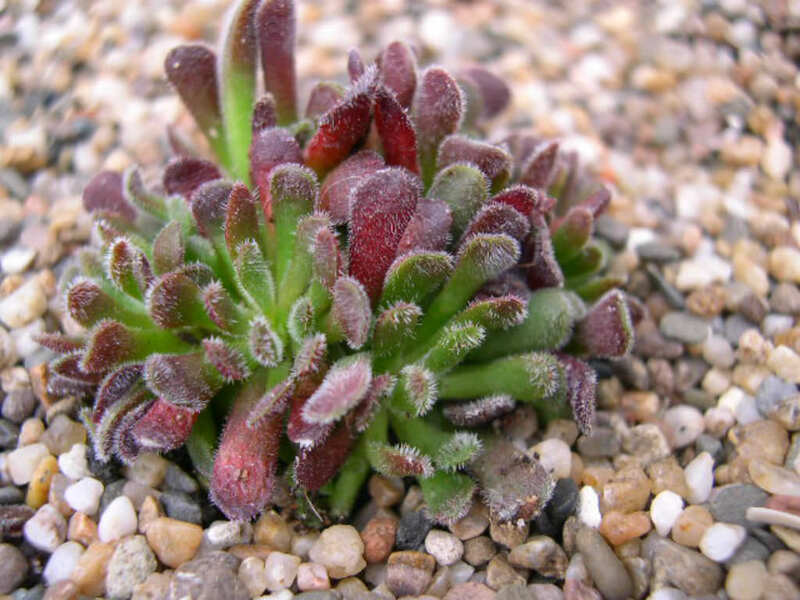 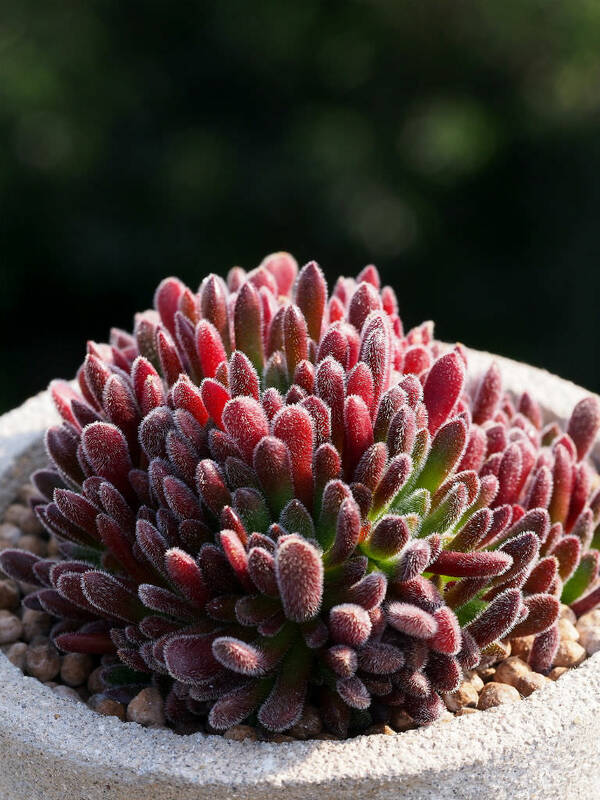 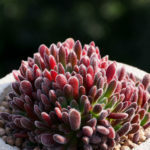 Crassula pubescens is a miniature, shrubby, succulent plant with small hairy leaves turning red in full sun. 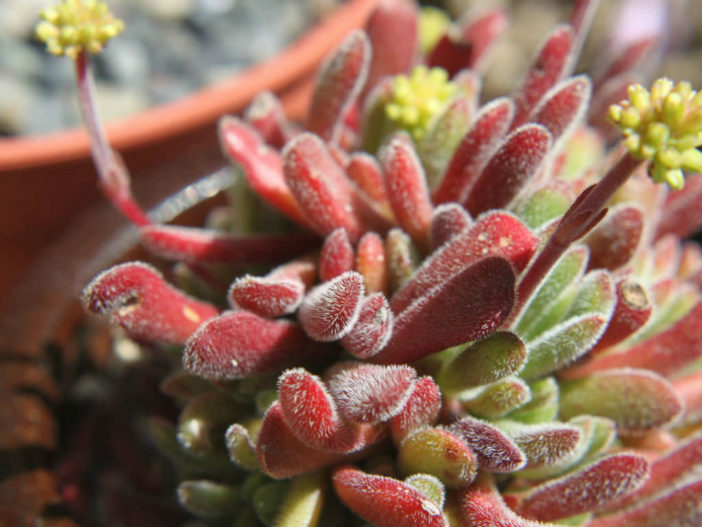 It blooms for months in winter and spring, with white fragrant flowers. 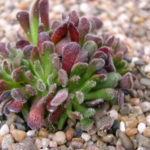 It could be used as a ground cover in very mild climates.